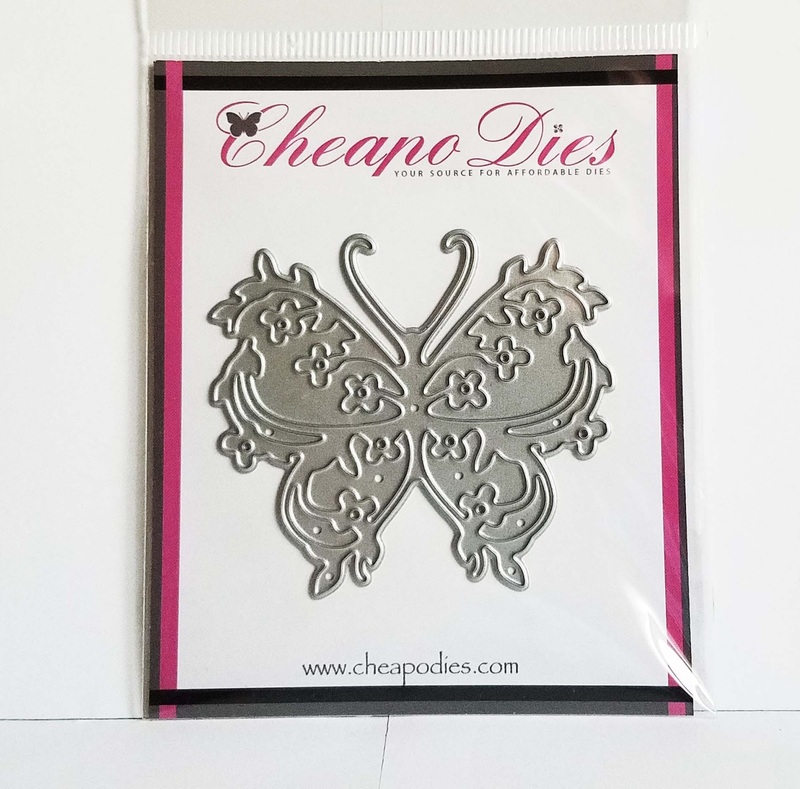 Today's card was made using the Floral Butterfly Die. 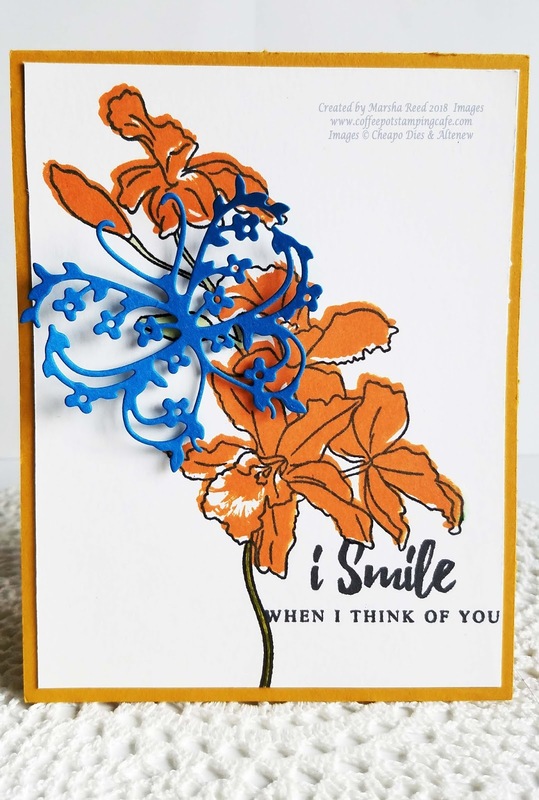 The butterfly is cut out of Pacific Point cardstock and popped up with foam tape onto a pretty cattleya orchid. I added not embellishments as I wanted that pretty butterfly to take center stage.